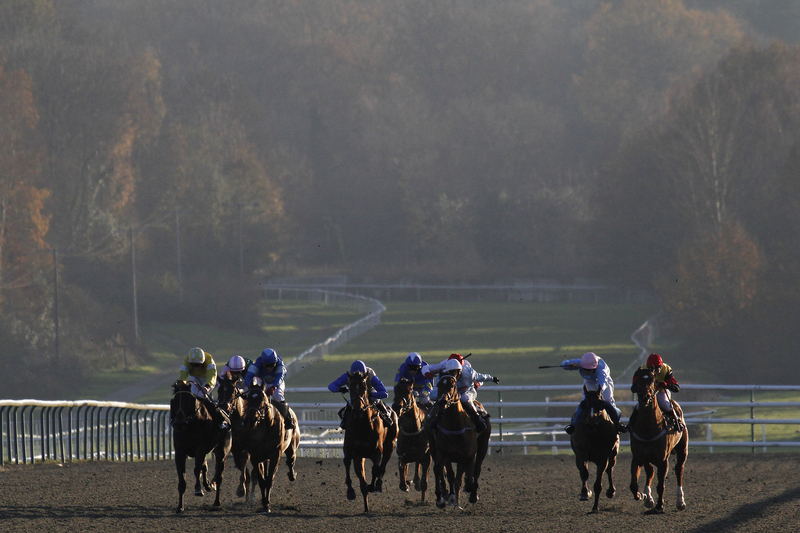 Favourites won five of the six races at Lingfield. Pic: Courtesy of Arena Racing Company. By Simon Jackson at Lingfield Park. Favourites won five of the six races at Lingfield on Friday that included the Class 2 feature contest that went to Don’t Be who extended her winning sequence to four races. Don’t Be, trained by Sir Mark Prescott at Newmarket, was unbeaten in her last three starts after posting a brace of Class 5 victories at Wolverhampton and Lingfield and a Class 4 win at Kempton in late December. The daughter of Cape Cross was sent off the 7-4 favourite and dealt easily with the step up in grade; travelling comfortably throughout for jockey Luke Morris in the £19,000 32Red Fillies’ Handicap. Morris bided his time on the five-year-old as they travelled towards the back of the pack for the bulk of the seven-furlong journey before challenging a furlong out. She stuck to her task well to win impressively. The manner of the victory pleased the jockey who believes the mare is capable of stepping up again in class. “I was always travelling well,” Morris said. “They went hard and it played into my hands really. Sabre Rock was another to extend an unbeaten run when landing the 12 furlong Class 6 to secure a successive hat-trick of victories since joining trainer Julia Feilden. The 5-4 shot raced close to the pace under five-pound claimer Shelley Birkett who has ridden him in the three victories which have all come over course and distance. The connections of Pharmaceutical are also considering another run at Lingfield after the three-year-old colt made a winning debut in the seven-furlong maiden at 6-4. Sgt Reckless, better known for his exploits in the national hunt sphere, returned to the scene of his bumper win at Lingfield almost exactly two years ago and made it a double when easily winning the opening race at 4-5. The success of Chauvelin (2-1) in the finale bookended a superb day at Lingfield for favourite backers; where the victory of 5-1 shot Burnt Cream was the sole winner to break an otherwise unbeaten sequence of winning market leaders.